This is the 21st Century recreation of the original NAD 3020 amplifier from the seventies that provided an outlet for thousands of young people on the hunt for real HiFi. Exceptional power and smoothness for the money and with ridiculous headroom for party animal opportunes. 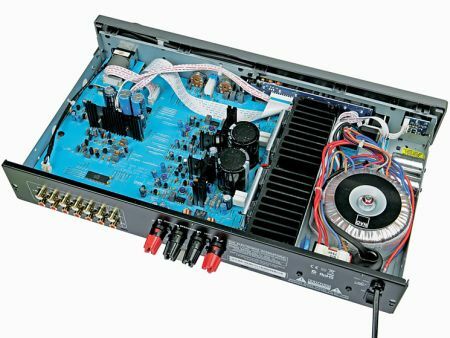 NAD has an enviable reputation for creating some of the best performing budget amplifiers of all time. The lineage is impressive, all the way from the 3020 of 1978 to the current C325BEE, with many “Best Amp” awards and 5 Star reviews along the way. As loudspeaker quality and performance has continued to improve, especially at modest price points, NAD felt that there was room for a lower cost amp that could take advantage of these speakers; creating a new entry point for serious musical performance. The NAD Design Team faced a difficult challenge: to maintain the same performance specification as our more expensive amplifiers while removing cost. Cost is usually removed by reducing features, power, and performance. While not quite as full featured as our own C325BEE, the C316BEE is far from a “stripped down” product. With 6 line level inputs, full IR remote control, defeatable tone controls and a front panel input for a portable MP3 player, the C316BEE is fully equipped to be the control center for a high performance music system. Continuous power is a conservative 40 watts, and dynamic power (more important for music listening) is impressively rated at 90 watts into 8 Ohms! This is far more usable power on tap than other amps at this price. And this power is available across the entire audible band at a class leading 0.02% rated distortion!